Printed spreadsheets have a tendency to look very similar to one another, particularly when you are dealing with something that you produce on a regular basis. The confusion that can arise if someone is looking at the wrong spreadsheet can potentially be problematic, so it’s a good idea to identify your spreadsheets. One way that you can do this is to add a title into the header. 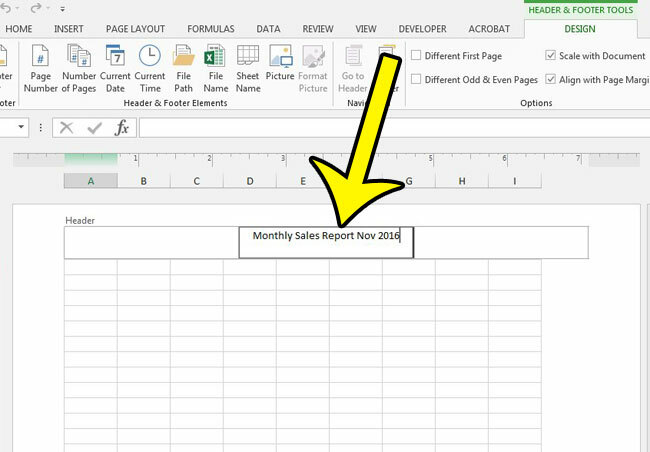 One of the benefits of using the header for your title in Excel 2013 is that that part of the spreadsheet will repeat on every page. So if your spreadsheet spans multiple pages, you won’t need to worry about manually adding that title into the correct row of the spreadsheet, which can be a frustrating thing to do. 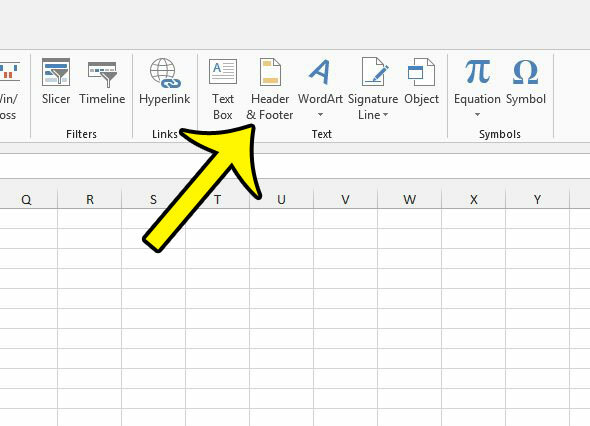 Our guide below will show you how to use the header to include the title at the top of every page in Excel 2013. 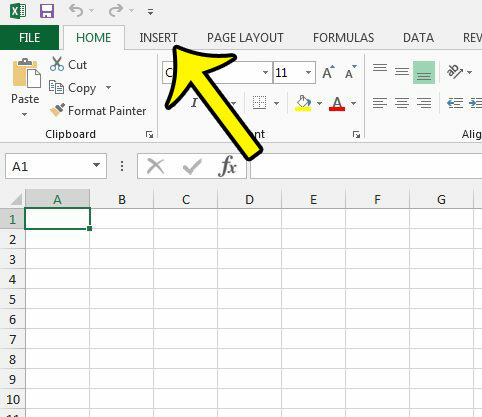 These steps are going to allow you to enter information that appears at the top of every printed page of your Excel spreadsheet. Click here if you would like to learn how to repeat the top row of your spreadsheet on every page as well. Step 3: Click the Header & Footer button in the Text section of the ribbon. Step 4: Click inside of the section in the header where you would like the header to appear, then enter the information for the header. Once you are done, click on any of the cells to exit the Header & Footer view. You can return to the Normal Excel view by clicking View at the top of the window, then clicking the Normal option in the Workbook Views section of the ribbon. If you are having trouble with your printed spreadsheet, then learn how to make it fit one page. This is very useful when you have a sheet with a couple of rows or columns that keep trying to pritn on their own page.